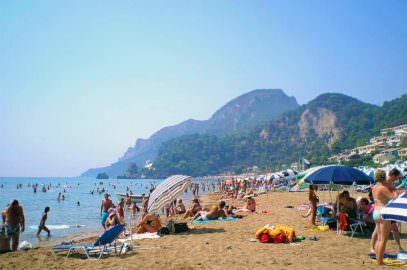 Paleokastritsa is located a little further north of the center of the island on the west coast and is about 25 km far from Corfu town. 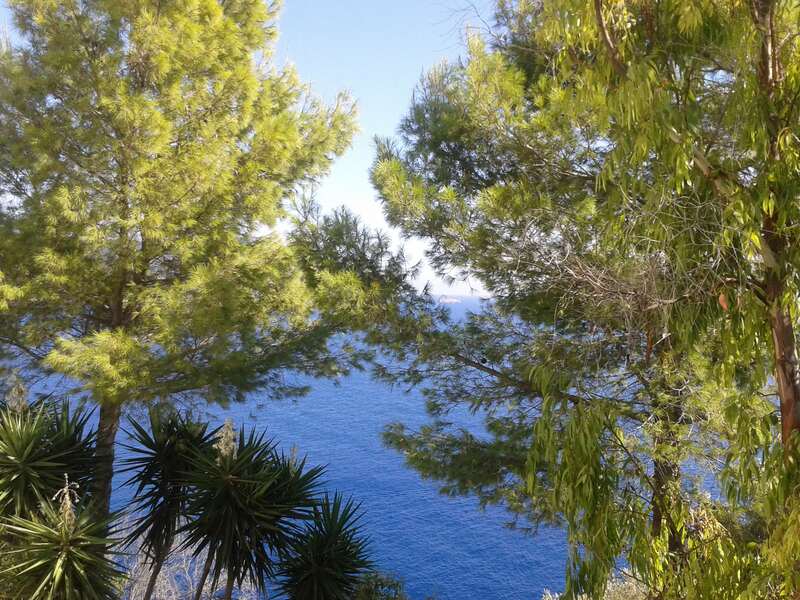 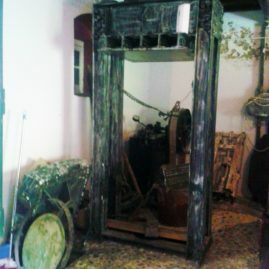 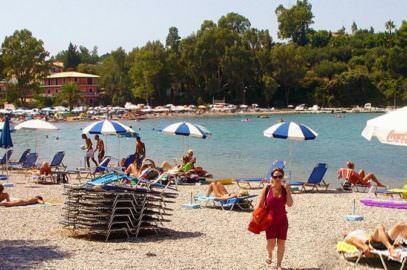 It is not only of the most beautiful places of Corfu but also of the Ionian islands. 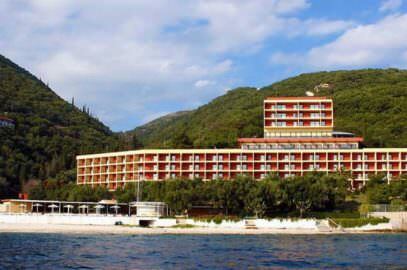 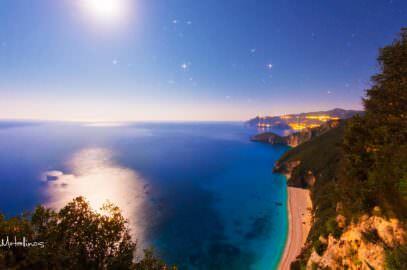 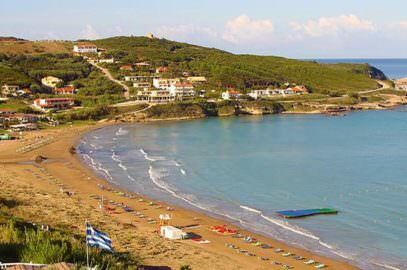 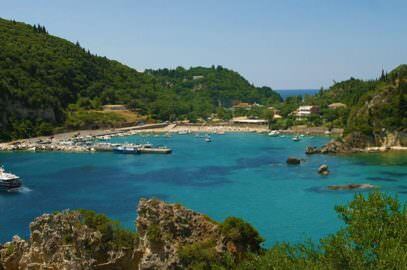 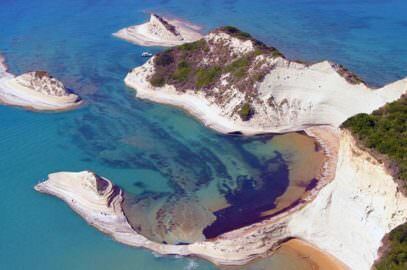 Paleokastritsa has been called the jewel of Corfu, set on a number of bays separated by small promontories. 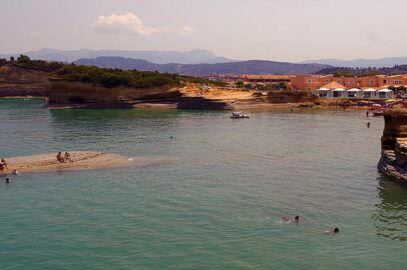 In the settlement`s area there are three beaches, separated by round-shaped capes, on the eastern beach there is a small harbor, the Alipa port, suitable for small yachts, speed, and fishing boats. 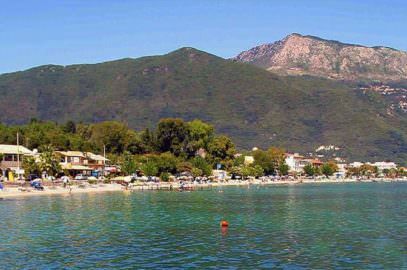 From this port you can hire a boat to visit the neighboring isolated beaches and remote caves south of Paleokastritsa. 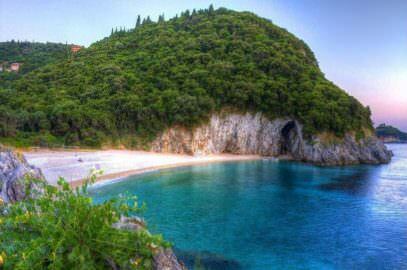 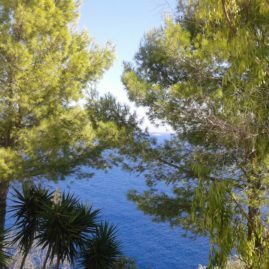 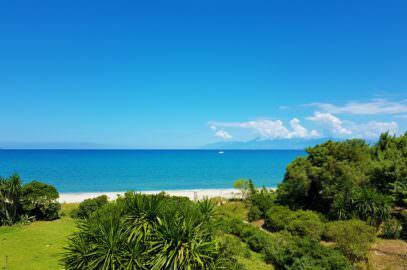 Paleokastritsa is green, yes but the whole Corfu is green after all, so what makes this place so memorable? 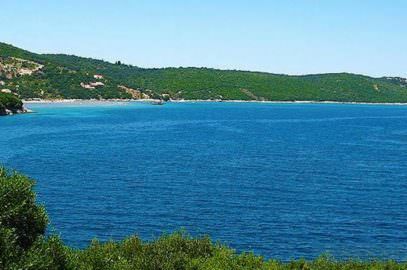 Definitely is the beautiful shape of the seaside with the capes and beaches in between, 6 in total, and the spectacular view from the hills above the resort from the village of Lakones. 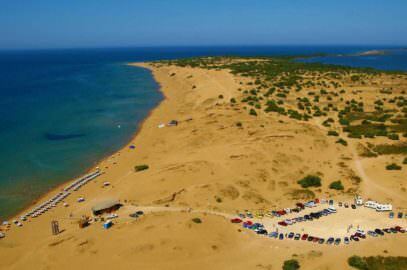 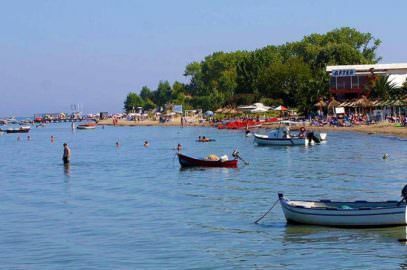 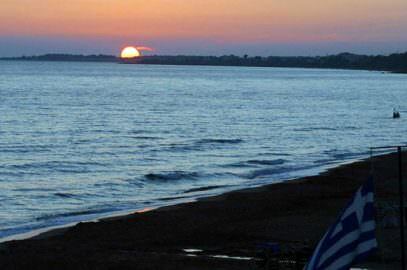 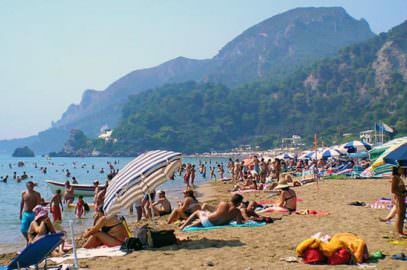 Beaches are fully organized, especially the central beach called Agios Spiridon with sun beds with umbrellas, water sports, taxi boats, motor boats, and canoes for rent. 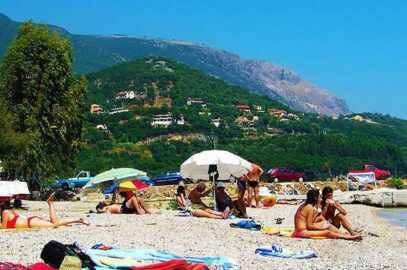 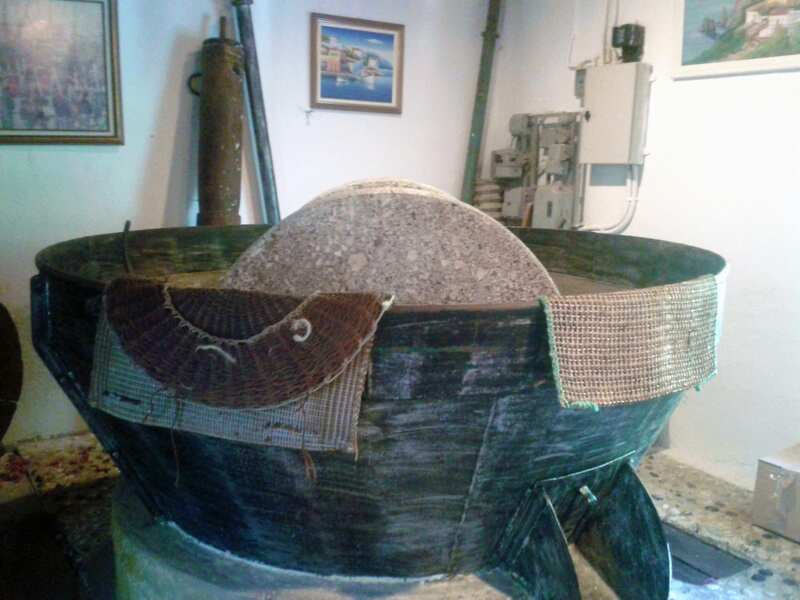 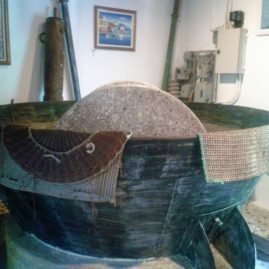 There are hotels and apartments in Paleokastritsa area to suit all pockets, and many tavernas and bars strung out along the road, some on the hillside, and others on the water’s edge. 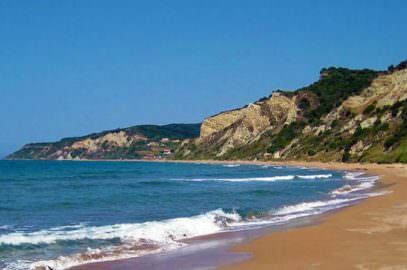 On the headland farthest out to the sea is the beautiful 12th century monastery of Theotokos, still working and occupied by cat-loving monks, and containing the famous icon of the Virgin in its church. 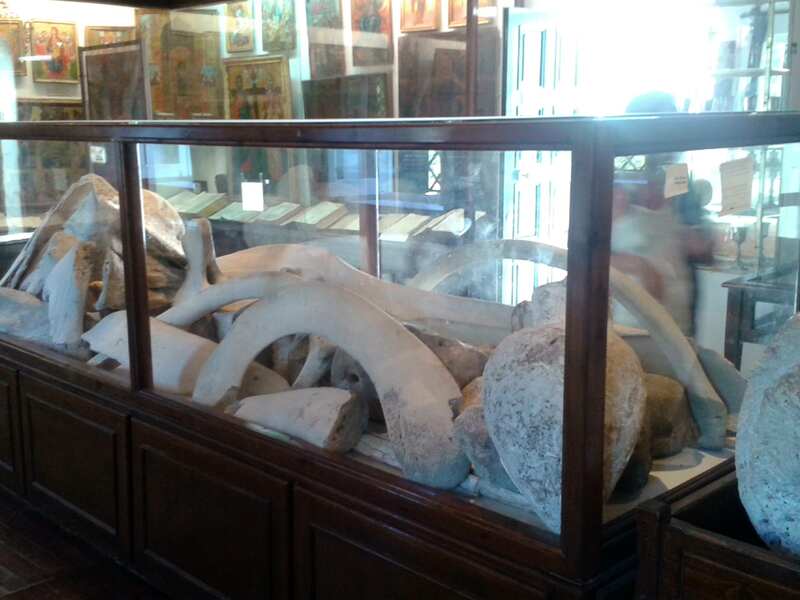 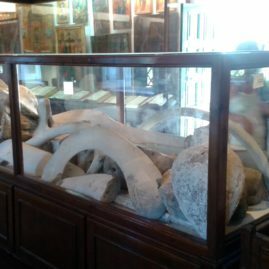 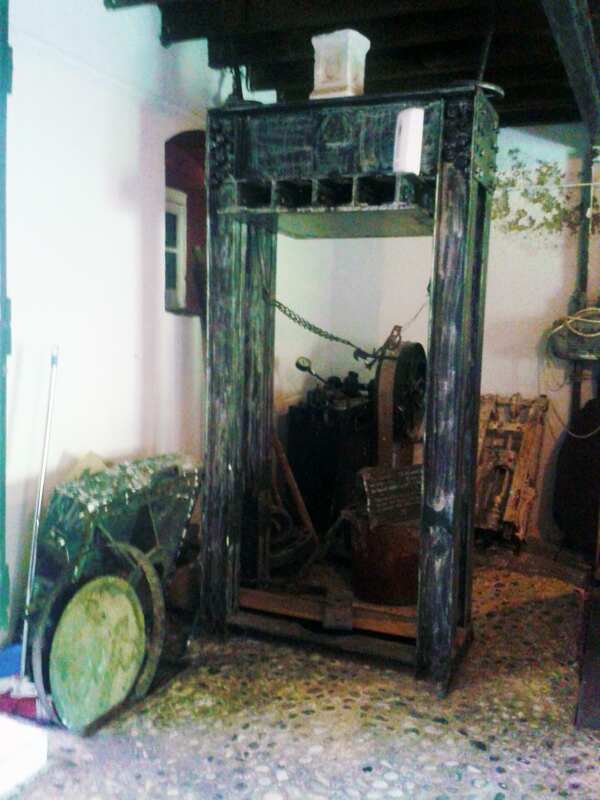 In this church also, the remains(bones) of a whale who extinct long ago on the rocks under the monastery, are kept inside a large glass box. 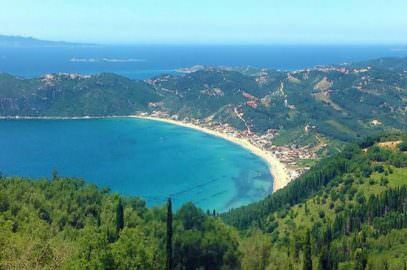 The view from the village on the hill above Paleokastritsa, Lakones, is stunning, and many visitors walk up the old donkey trail which goes between the two villages, and some go on up into the hills above, exploring the inland villages of Krini and Makrades. 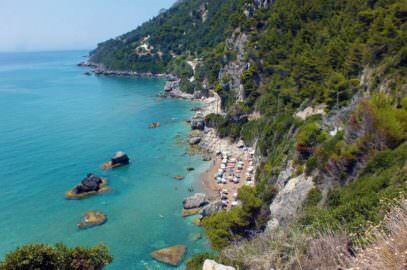 A gentler walk would take you south to the village of Liapades, one of Corfu’s oldest and prettiest, where life seems to go on in the same way as it has for centuries. 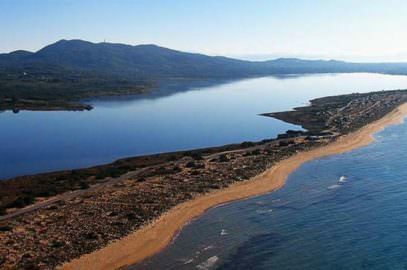 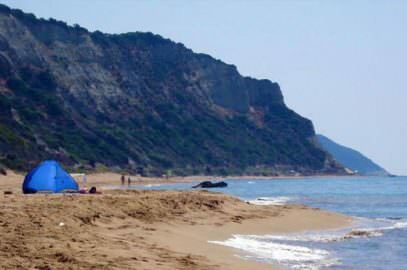 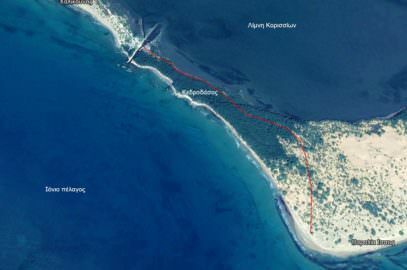 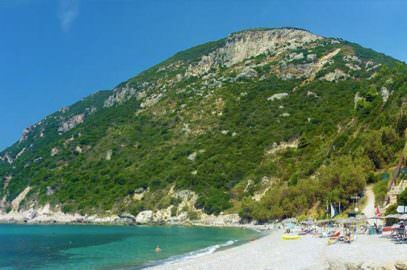 Around Paleokastritsa and particularly to the south there are many secluded beaches, hardly accessible or even isolated. 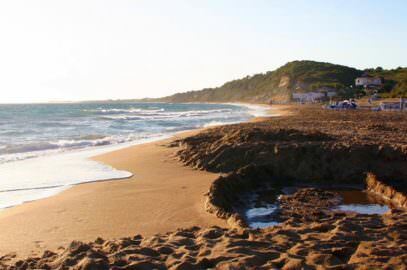 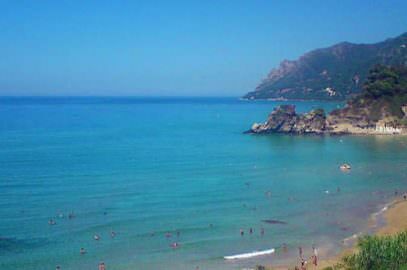 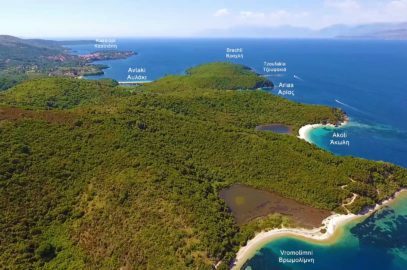 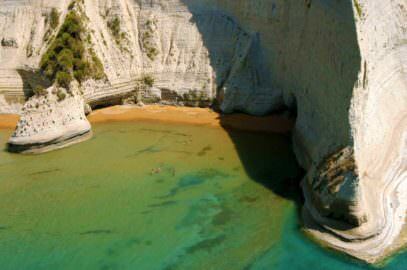 These are the hidden beaches of Corfu, all beaches with fine pebbles and some sand with crystal emerald clear waters, without tourist development, here you can discover the exotic beauty of Corfu. 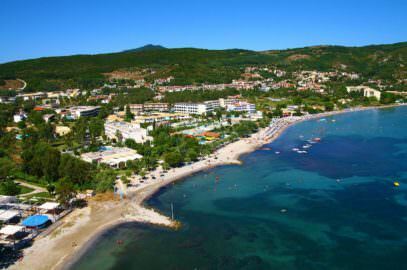 In Paleokastritsa resort itself, boats can be hired to explore these surrounding beaches, there are boat trips also, and water sports- and a glass-bottomed boat to explore the world under the sea. 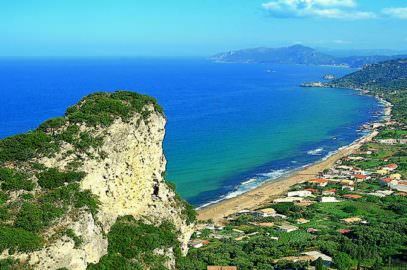 To the north is the old fortress of Angelokastro- a steep climb but the view makes it well worth the effort, and on the way back you can stop at one of the bars on the Lakones road and look not only down at Paleokastritsa, by across the island’s Ropa Valley towards Corfu Town.